First time to Pilates or Barre? One of the first things you will learn in Pilates or Barre class is the ability to connect into your deeper abdominal muscles to effectively utilize your entire core. This means that your standard operating posture will require you to draw your lower abdominals in and up through the exercises to strengthen the core muscles and the whole body. Keeping your abdominals engaged at all times will help to improve your overall posture, assist you with movements in and out of the studio, and compliment additional types of exercise activities. A great part of Pilates and Barre focuses on breathing, and it is very likely that the instructor will emphasize this during exercises. Listen to these instructions and breathe out and in at the correct times. This will make your movements and exercises more efficient and effective. Focus on your breathing and avoid holding your breath during any exercise – this will starve your muscles from oxygen and your exercises won’t be as effective as they should be. 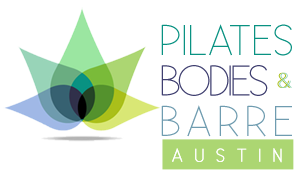 How does Pilates prevent injuries? Pilates was originally created to help rehabilitate soldiers wounded in World War I and then later injured dancers. In fact, the modern day Reformer with its spring resistance and sliding carriage was developed to help patients exercise while they were confined to bed. Where traditional methods of training tend to produce short, bulky muscles that are more prone to injury, Pilates elongates the spine, makes muscles more elastic and joints more flexible, which reduces the potential for injury. Many professional athletes practice Pilates to keep their bodies strong and injury free. BeyondBarre is a 60- minute workout designed to sculpt, strengthen, and stretch the muscles. Creating a long and lean physique. Small weights, abdominal work, muscle isolations, functional training, and classical ballet exercises are done to get that dancer’s body we all want. Stretching is emphasized to guarantee these elongated muscles. The BeyondBarre GlideBoard is used as the cardio component to increase stamina and cardiovascular health. The Barre progressions sculpt the entire body focusing on the legs but also challenging the core and lengthening the arm muscles. Balls and bands are used to increase the difficulty challenging the workout even more. Wear comfortable workout clothes, like yoga pants and tank tops. Make sure they’re not too baggy so the instructor can make sure you are in proper alignment.